Japanese creativity comes face-to-face with ‘The Colonel’ in this unconventional collaboration between fast food brand KFC and Japanese fashion designer NIGO—founder of clothing brands A Bathing Ape and Human Made. 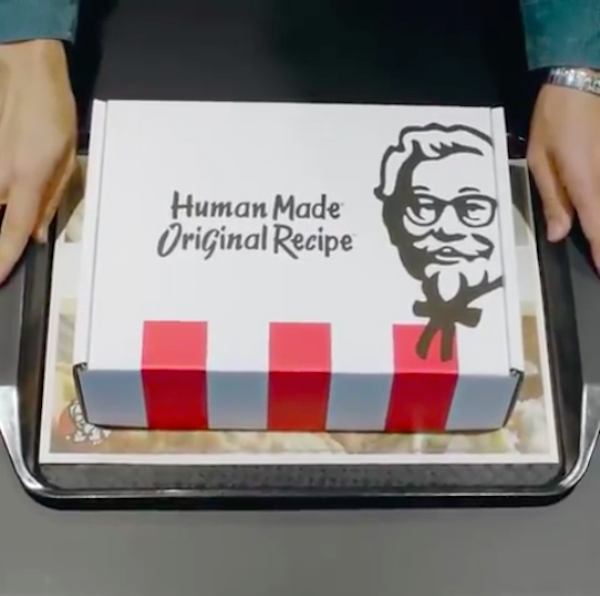 Less than 24 hours ago, NIGO released the teaser of the ‘Human Made Original Recipe’ on his Instagram that reveals its launch in New York City on 16 November 2018. In another recent cross-cultural collaboration, Jonah Hill’s severed head graces a tongue-in-cheek Japanese streetwear ad.